Shucks. All these transport operators want is your money. If a service is not generating sufficient money to cover its costs, off service it goes. That’s a real shame, but I guess if people don’t use the service, they’re not going to keep running at a loss. I’ve had this happen to me too, despite trying to get people to use a service. This has happened with bus services around here in the past. People don't use them, and then moan when they've gone. Its a shame you'll be the one it affects. Public transportation can be so wonderful, but often it's too limited as in your case. Our town has substandard public service and we're far behind many more progressive cities in that area. 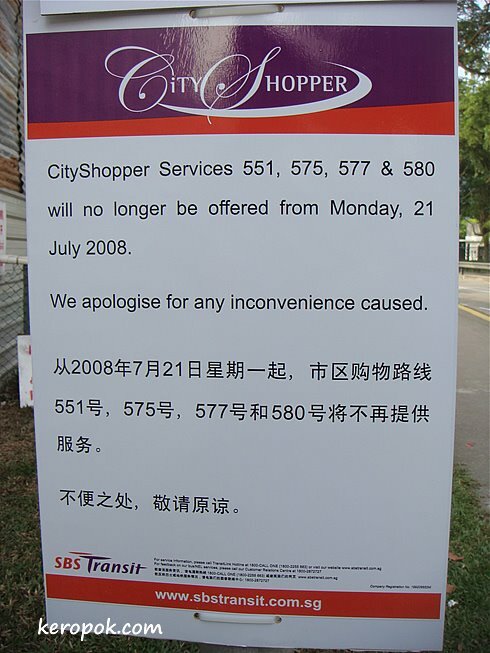 Too bad that your convenient bus service has been cancelled!